Technical Car Experts Answers everything you need: hard to steer when gets hot? Many car users notice this issue.Power steering going out or steering hard to steer. This is a very common problem . On most such cases cases this is normally caused by a faulty intermediate steering shaft . If there are universal joints and the shaft that begin to seize up a and make it more difficult to steer. To inspect this ,remove the steering intermediate shaft from the rack assembly and then turn the wheels back and forth. Check that the wheels move smoothly from one lock to the other. Properly inspect the lower steering shaft and see if it seems to be in good condition or not. When the vehicle is raised on jack stands see if the steering seems fine without any binding. Also try bleeding the system and see if there is any air getting out of the system. On some cases this issue was due to faulty power steering pump,. Usually when this happens, filling the power steering fluid up will cause the power steering to work again. However, that means that there is just a leak. 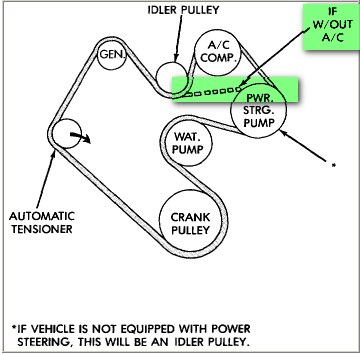 If the fluid gets too low and the power steering pump gets too hot, then the power steering pump could go bad. You will have to fill up the system and start the engine up while looking for leaks. Turn the steering wheel back and forth until you see or hear power steering fluid leaking. You will need to fix or replace the bad/leaking part. If this is excessively then its recommended to get the power steering system hydraulics flushed. Not just a fill and drain of the reservoir as there is quite a bit of fluid in the pump steering rack and hoses. Also, they should check the filter in the bottom of the reservoir to insure it is not plugged. If this does not correct the condition and it is excessively hard to turn cold the steering pump has likely failed. And it needs replacement. On some cases you notice that power steering pump is replaced,but still the problem persists or starts after few weeks.This is due to non-branded parts.Please use branded and reputable part.Local third grade after market parts are cheap,but they don't give appropriate results and case more problem. Also use new fluid, don't use old power steering fluid. Before replacing the power steering pump again,if you still need to confirm the problem.Get the pressure tested for the pump. If you have checked the fluid level and it is ok, and the belt is good and tight, then you will be facing either a pump failure of an internal steering box failure. Ideally we would install a pressure gauge to check if the pump is building enough pressure, but if you don't have that ability, then you can remove the pressure hose from the steering box, and with the engine running check that the pump is producing a good fluid flow to the box. This will give you an indication of whether the pump is functioning or not. If the pump appears to be working, then you will be looking at replacing the steering box to correct this concern. Also inspect the power steering pressure hose,if its come off it can be the issue. The diagram shown below will help. Here is a diagram of either, A/C or not. Also inspect power steering pulley.If its faulty it has to be replace.To replace power steering pulley it requires special tools. There is a pulley removal tool and intaller tool.